Download Cisco AnyConnect VPN client windows 7 from the link below. Double click on the file and click “Next”. Select license agreement “I accept the terms in the license agreement”.Then click “Next”. Click on “Finish” button to installation complete. 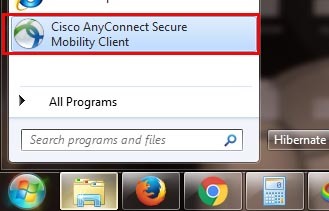 Now select “Cisco AnyConnect Secure Mobility Client” on start menu. Click on settings icon to change the setting. In the “Preferences” tab, uncheck “block connections to untrusted servers” and close the window. In this screen, you should enter the Cisco AnyConnect VPN client-server address. Then click “Connect”.You can see Cisco AnyConnect VPN client-server addresses here. Enter your SaturnVPN username and click “OK”.If you haven’t purchased the account yet, you can use the test account to test our services click here. Enter your SaturnVPN password and click “OK”. You are now connected to Cisco AnyConnect VPN client windows 7. To disconnect Cisco AnyConnect VPN, right click on this icon and click “VPN Disconnect”.